EU Mobility Package – Where are we now? A year and a half after the publication of the first Mobility Package “Europe on the Move”, the negotiations on the dossiers in the European Parliament (EP) continue and it seems unlikely that a compromise will be reached any time soon. Members of the EP have missed two opportunities to find consensus on the Mobility Package proposed by the Commission. The inability to reach an agreement reflects the market reality and in particular the East-West clash regarding the social aspects of road freight operations. In June this year, the first part of the Mobility package went through the next stage of the legislation-making process and was put to a vote in the Transport Committee and then the EP. Members of the EP rejected the amendments proposed by Transport Committee and referred them back to the Committee for reconsideration. The original Mobility Package proposed by the Commission applied to posting of workers for both, international and national operations. These rules would include an obligation to pay the wage of the Member State where services are delivered. The Transport Committee, however, proposed amendments which exclude transit and international transport from the new EU Directive on Posted Workers. If the amendments had gone through it would have meant that posted workers rules on “equal pay for equal work” would apply only to cabotage transport. The Committee’s amendments are also considered to restrict cabotage rules. 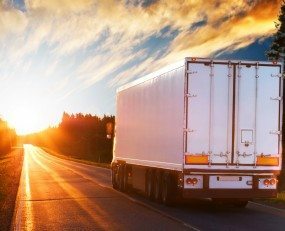 The Committee proposed that foreign hauliers will be allowed to provide an unlimited number of cabotage services for only two days following an international operation. The draft rules set forward by the Committee allow drivers to spend their weekly rest in the cab if the vehicle is stationary and if the driver has access to sanitary facilities. To qualify for this exemption, a driver would need to use a self-certified secured parking facility with appropriate sanitation. Now that these amendments have been voted out in the Parliament, the Mobility Package will probably be considerably delayed. It is very likely that the dossiers won’t be put to a vote before the next European Parliament elections, in May 2019. Moreover, the rejection of the amendments by the EP means that the compromises that have been worked out in the Transport Committee cannot be used during negotiations with the EU Transport Council (Member States). The Commission has been in bilateral talks with Member States on these matters with a view to identifying possible compromises for the Council’s meeting in December 2018. The act will not enter into force until the EP and the Council reach agreement on the proposals. It should come as no surprise that the legislative process of the first Mobility Package hit stumbling blocks. After all, important issues are at stake and EU politicians have been guilty of seeking to promote national interests rather than common European interests, making it difficult to reach EU-wide agreements. Unless this gap between Eastern and Western countries regarding the ‘social’ aspects of road transport narrows down, the future of transport workers remains uncertain and working conditions for European drivers will remain unchanged in the next couple of years.